SysAid > Company > Newsletter > Issue 39: SysAid Release 7.0 Beta Now Available: Try it Now! 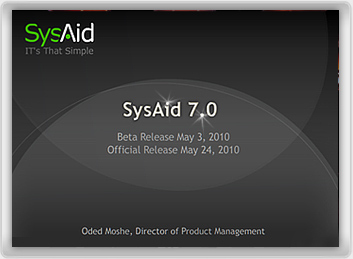 This May marks SysAid's next step into the future of IT - our newest release SysAid 7.0 will be officially released on May 24, 2010! With more than 130 features, SysAid 7.0 is our largest release to date. To help you learn all about SysAid 7.0 and what it can do for you, this newsletter is full of information about its new features, functionalities, and enhancements. SysAid 7.0 includes something for everyone! For a detailed list of all of SysAid 7.0's features, you can also read the SysAid 7.0 Beta Release Notes. On Wednesday May 26, we'll be holding a free live webinar on the ins-and-outs of SysAid 7.0. This session will cover a comprehensive overview of all that's included in SysAid 7.0 as well as live demos of its most exciting functionalities. Yesterday marked the Beta release of SysAid 7.0, and SysAid Pathfinders are already busy trying out all of its new functionalities. Join the SysAid Pathfinder Program to experience SysAid 7.0 Beta and influence its release in these final stages of development! In the spirit of our new release, we're gearing up for the next round of the SysAid Certification Program. It starts on June 3, so you'll have to register soon to catch the early bird discount of 10% off the regular price. This course will teach you important strategies, methodologies, and techniques within the context of new SysAid 7.0 features, so it's a great opportunity for you to master our latest release! Finally, we here at SysAid are starting May with new energy and inspiration we gained at the first ever SysAid Technology Conference! Just a few days ago, almost 100 SysAiders joined us in Vegas for three amazing days that truly surpassed all of our expectations. We'll soon send you updates about all that happened there plus the dates and location of our next Conference! I want to extend a special thank you to all those who attended and made it such an extraordinary experience. Welcome to SysAid 7.0 and enjoy IT! SysAid 7.0 Beta - Now Available: Over 130 New Features! SysAid Webinar - Welcome to SysAid 7.0! Next SysAid Certification Program Starts in June - Catch the Early Bird Price Now! Poll: Which SysAid 7.0 Feature is Most Exciting? Now Available: Over 130 New Features! We are happy to announce that the Beta release of SysAid 7.0 was launched yesterday! You now have the opportunity to experience all of SysAid 7.0's new features and functionalities for yourself before its official release on May 24! Join thousands of other SysAiders worldwide who already participate in the SysAid Pathfinder Program and take SysAid 7.0 for a test drive. This is your chance to learn about what's included in this SysAid milestone, see how it can work for you, and influence its release during these final stages of development. Want to know what SysAid 7.0 is all about? All is finally revealed in the 7.0 Beta Release Presentation! To view the presentation in PowerPoint, download it here. For an even more comprehensive list of all that's included in SysAid 7.0 Beta, browse through the SysAid 7.0 Beta Release Notes. With over 130 new features, there is something for everyone in our largest release to date! SLA/SLM Module: Measure the quality of service you provide, evaluate your current performance, and create new goals to help you improve end-user satisfaction! SysAid Calendar: Stay on top of your important SysAid deadlines all in one place! It's integrated with the rest of SysAid, so your due dates, activities, and support expiration dates are automatically added to your Calendar. It's even synchronized with Microsoft Exchange! Major SNMP developments: New integrated SNMP traps that will allow you to get notifications when the toner level of your printer is low, monitor the incoming and outgoing data rate of your devices, and much more! Reports Wizard: You can now easily create your own customized reports step-by-step with SysAid's new report building wizard! API enhancements: Customize and integrate SysAid like never before! Add an unlimited number of custom fields ... Create your own code to track the number of media files on specific workstations ... Write a script to automatically retrieve currency exchange rates from Google and add them to your service requests ... the possibilities are endless! Online Aid: An interactive SysAid help solution! All of SysAid's help files are now online and integrated with the SysAid Community to display what other SysAiders have to say and find answers even faster. More integrated SysAid Chat: From within chat conversations, you can now initiate remote control sessions with your end-users and download or upload files. See the rest of SysAid 7.0 Beta for yourself! Among these features, there are many other new functionalities in SysAid 7.0 Beta to help you work more quickly, increase efficiency, and establish better IT practices. Join the SysAid Pathfinder Program today and experience SysAid 7.0 Beta for yourself! Join us on Wednesday May 26 for a free online webinar:Introduction to SysAid 7.0! The SysAid Product Management Team will be leading a comprehensive walk-through tour of SysAid 7.0's new features and capabilities. In addition to learning about some exciting new SysAid innovations, you'll also see important enhancements to the tools you already use every day. See how SysAid 7.0 can help you save time, provide better support, stay more organized, and work more efficiently. Catch the Early Bird Price Now! The next round of the SysAid Certification Program starts on June 3, 2010! From the comfort of your own home (or office, coffee shop, wherever! ), you can learn exactly what you need to do to get more out of SysAid every day. In 7 two-hour webinars, you'll learn milestones for successful implementation, strategies to improve service quality, measurement methods, customization techniques, troubleshooting methods, plus everything SysAid 7.0! Register now and catch the early bird 10% discount. This promotion lasts only until May 11, so request a detailed course syllabus now! "The SysAid Certification Program was fantastic! The chosen content was extremely helpful and the exercises made the course much more helpful. Having the opportunity to actually utilize the points learned is vital with software that has as many features as SysAid does. Thank you! Thank you! Thank you!" - Don Dreibelbies, MIS Assistant, Flurotek, Inc.
"It was an excellent course! The overall presentation was great, and I was able to ask any question and it was always answered. I would recommend this course to everyone!" SysAid is great but with the Certification Program it's now perfect! The Customization session was great. 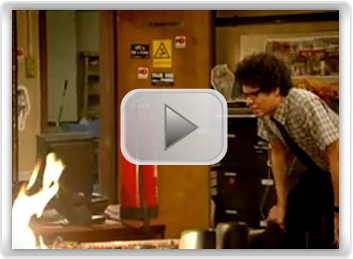 It gave me the knowledge to ameliorate our IT support process. The course touches all aspect of SysAid." "I have been using SysAid for over six years and while I considered myself fairly proficient using it, this course showed me how to get so much more out of it." Get more out of SysAid 7.0 and improve your IT management skills with the SysAid Certification Program. Catch the early bird price today! After months of anticipation and excitement, the first SysAid Technology Conference wrapped up just a few days ago! This momentous event exceeded all of our hopes and expectations. 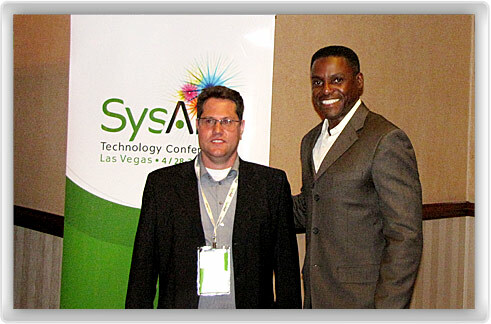 Almost 100 SysAiders flew in from all over the world to join the SysAid team at the MGM Grand Hotel in Las Vegas for three festive days of networking and intensive IT training. The enthusiasm and the passion of all who attended made for an unforgettable experience. The success of our first SysAid Technology Conference just confirms what we already knew: we're so lucky to have such amazing customers! In addition to all the new skills and technical knowledge that participants gained, the SysAid Technology Conference provided exceptional networking opportunities. Not only did participants make professional contacts, but they also came away with new friendships. We'd like to extend an enormous thank you to all of you who made it such an enjoyable and meaningful experience! We'll give you a more detailed recap of all the fantastic things we learned and shared there within the next coming weeks. 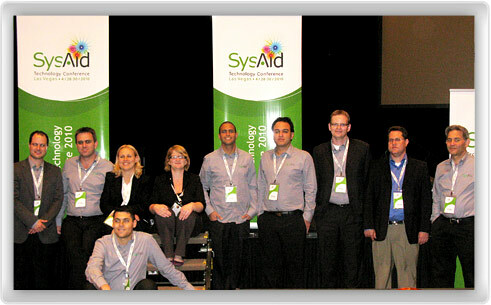 "SysAid did an AWESOME job in Vegas! Learned a LOT of things about SysAid and the future of the product. Met wonderful people, talked to real IT HEROS and shared a lot of ideas! See you next year, guys!" "Just wanted to say that SysAid did an awesome job on their first conference. I have been very impressed with the whole event from start to finish. If you can attend next year make it happen! GREAT JOB!" "For all those that did not go, I would recommend it. How can you go wrong with learning new things about the software and connecting with other users? We all shared a bunch of ideas and it will only make our departments and companies better. SysAid did a fantastic job!" We're so happy to have met so many of you and shared this amazing experience together. If you weren't able to make it to Vegas, stay tuned for information to come about next year's SysAid Technology Conference - we can't wait to see you there! In this tutorial, you'll learn how to use a new SysAid 7.0 tool: the SysAid Calendar. As a new way to help you stay on top of your deadlines in one centralized place, the SysAid Calendar is integrated with the rest of SysAid. That means that all service request due dates, service request activities, and software support expiration dates are automatically added to your Calendar. 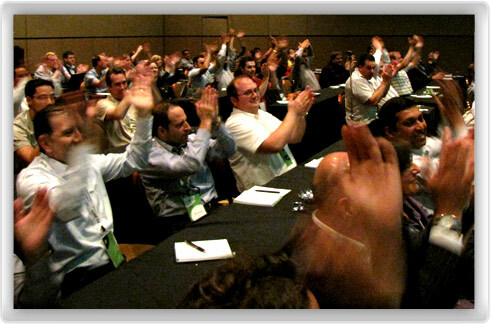 In addition, you can also easily create your own events in the user-friendly interface. 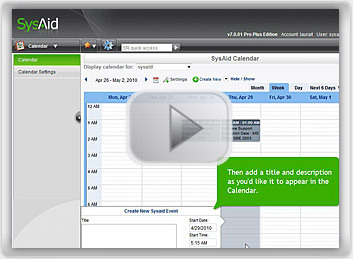 You can then synchronize your SysAid Calendar with Microsoft Exchange! Watch the tutorial below to learn how it works. Want to try out the SysAid Calendar for yourself? Become a SysAid Pathfinder to start using SysAid 7.0 Beta before its official release! To learn how you can get the most out of other SysAid features, watch the other videos in SysAid's tutorial series. As you all know, receiving service requests via automated channels is essential to increasing your efficiency and productivity. That's why the End-User Portal is such an important tool. It provides your end-users with an intuitive and user-friendly interface to report their issues and receive feedback. 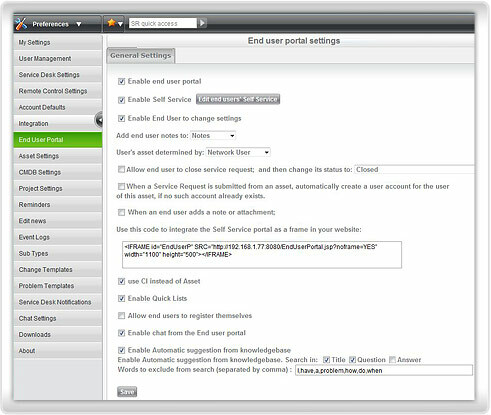 Even better, the End-User Portal has resources to help your end-users independently resolve their technical issues. Since the release of SysAid 6.5, the Knowledgebase automatically provides your end-users with suggestions and resolutions as they begin to type in the title of their service request. With the release of SysAid 7.0, you'll now have the ability to fine-tune these Knowledgebase suggestions to make them most relevant to your end-users' needs. At the bottom of the page, you'll see a check box for "Enable Automatic Suggestions from Knowledgebase." Here you can specify which suggestions will pop up when your end-user begins typing. You can choose for the results to be based on the title, question, and/or answer. You can also enter the words you wish to exclude from the search so that the results are more meaningful. This is just one way you can provide your end-users with a better service experience and reduce your own workload! Which SysAid 7.0 Feature is Most Exciting? What SysAid 7.0 development are you most looking forward to?